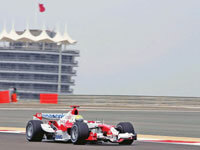 PLANS to develop a $664 million conference centre at the site of the Bahrain International Circuit (BIC) have been revealed by Bahrain Exhibition and Conference Authority (BECA). Set to open in 2011, the project is to be five times larger than the original plans for the development. The increase in scale of the conference centre was an indication of the importance of conference business to the country, according to MICE director Debbie Stanford-Kristiansen. “MICE is one of the key strategies for the future growth of tourism in Bahrain, so there is now going to be a 150,000 sq m conference centre, which will be able to hold international congresses with up to 10,000 delegates. “The industry in the region is worth $8 billion a year. People are now looking for an alternative to established venues like Dubai and Bahrain is in a strong position to compete,” she said. It is estimated that more than 21,000 international exhibitors and delegates will be attending international events held at BIEC in 2008 and more than 27,000 in 2009, which shows a substantial growth of more than double figures from those of 2007, according to Stanford-Kristiansen. BECA, which is taking its lead from HE Dr Hassan A Fakhro, Bahrain’s Minister of Industry and Commerce, will also be looking to promote incentive travel through the unique nature of the conference centre’s location. “This will be the first exhibition centre that’s positioned next to a Formula One track and it will house a five star and a four star hotel as well as retail outlets - it will almost be like a city,” Stanford-Kristiansen added.